Despite the Brexit economic doom and gloom, the UK leaving the EU has been good for one profession - economists. The Irish Department of Finance and the Economic and Social Research Institute (ESRI), based in Dublin, is the latest to offer depressing forecasts. They have studied the implications of Brexit for the Republic of Ireland's economy over a 10-year period. In its report, the ESRI finds that all scenarios are bad for the Irish economy. However, a disorderly Brexit is by far the worst. It forecasts that 80,000 jobs could be at risk; economic growth would be down by 5% over a 10-year period on what would happen if the UK stayed in the EU, and wages will fall by 1.4%. The figures for a more orderly no-deal exit are broadly similar, but even with a deal there is little good news. The ESRI suggest the most benign outcome will still see expected economy growth down by 2.6%, wages falling by 0.7% and 45,000 fewer jobs. The institute also forecasts rising prices with sterling expected to drop by 3-7% against the euro. The depressing findings are in a similar vein to a German economic forecast last week. Bertelsmann Stifung found that Brexit could cost Irish people 726 euros (£620) per individual annually - the worst for any country apart from the UK. The latest ESRI findings are also gloomier than its report in June 2017 which found a hard or disorderly Brexit could threaten 49,000 jobs. Meanwhile, research commissioned by Stormont's Department of the Economy states that foreign direct investment (FDI) into Northern Ireland will be adversely affected if it leaves the EU's single market. It finds that in a no-deal scenario, there would be "a reduction from 2019 to 2030 by 3% per annum of the number of FDI projects and by 3.6% of the FDI-related new jobs when only one-off effects are considered". The report also concludes that in contrast to other UK regions, Northern Ireland would become more attractive to FDI if it remains in the single market for goods and services. Those who dismiss gloomy forecasts often take comfort in the quip that God only invented economists to make astrologers look good. But as we approach the Brexit endgame, there is an extremely wide economic consensus that the UK leaving the EU is very bad news for Ireland - north and south - whatever the exit scenario. 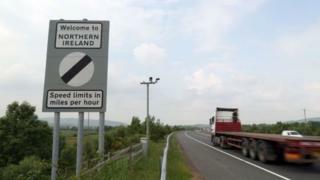 Brexit: What would no-deal mean for the NI economy?